"When a new baby is born it′s difficult to tell if it will grow up to be big or small or brave or scared of the dark and spiders. So sometimes babies get the wrong name. It′s the same with dogs. So when the Claybourne-Willments, who should have been called the Smiths, got Fearless as a little puppy, it seemed a good name for him. 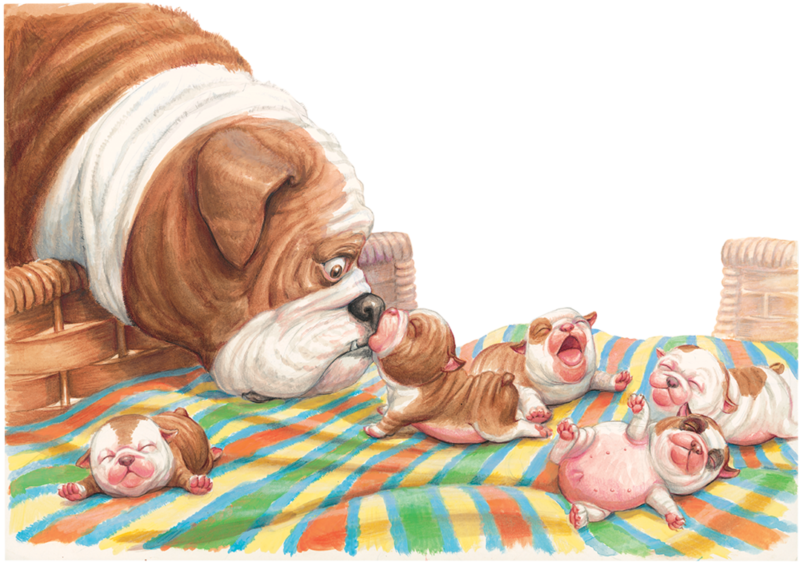 The illustrations for Fearless were created using acrylic and prismacolor pencils - and with the help of some friendly bulldog supermodels! The only thing Fearless could remember his mother telling him was, ′Life is much nicer if you love everyone.′But loving everyone is much more complicated than Fearless had imagined. 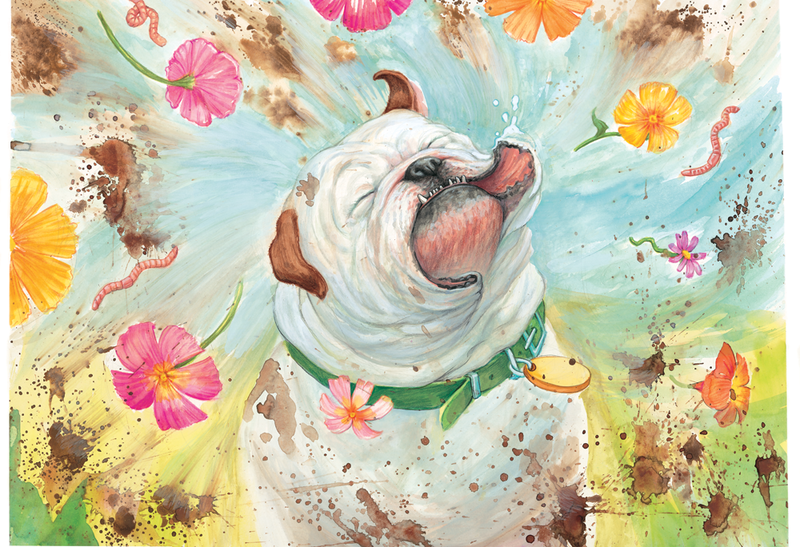 A hilarious new picture book about Fearless the bulldog. The illustrations for Fearless in Love were created with acrylic paint and prismacolor pencils. Everyone's favourite scaredy-cat bulldog returns in a brand-new adventure! When we last saw Fearless, he had fallen head over paws for the beautiful Primrose. Now, they've got puppies to care for, and Fearless must figure out what it means to be a father. Fearless warns his children about the dangers lurking around every corner - things like vacuum cleaners and handbags - but when Primrose is in trouble, will Fearless put aside his fears or will it be brave pup Eric to the rescue? 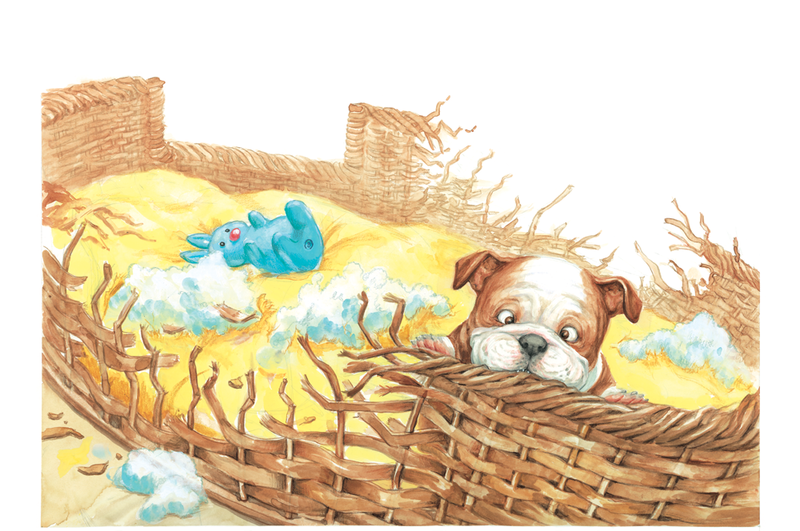 Another charming and hilarious tale about Fearless the bulldog, from award-winning duo Colin Thompson and Sarah Davis. The illustrations for Fearless - Sons and Daughters were created with acrylic paint and prismacolor pencils.